ROK Coffee Grinder Review: Can It Grind for Espresso? 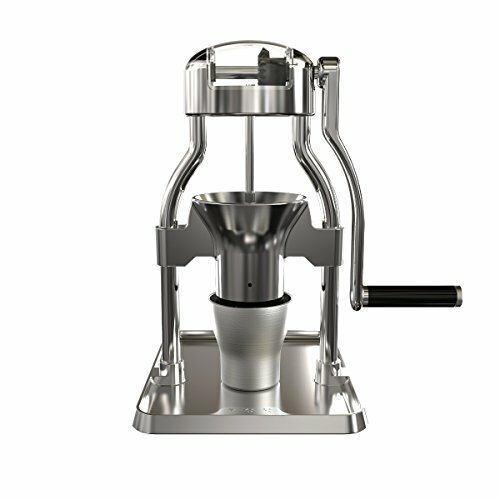 The ROK Coffee Grinder is the new baby in the ROK family of coffee equipment. 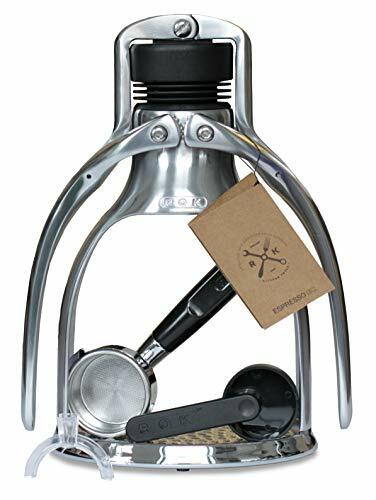 Most people of course already know its big brother, the ROK Manual Espresso Maker, but this device certainly deserves some attention of its own. Shopping for a coffee grinder can be intimidating, as there are so many options now available to the consumer. With recent increased interest in coffee and maximizing the flavors it has to offer, more products are introduced every day. So how can you choose the best grinder for you? A burr grinder employs nesting conical abrasive surfaces that rub against each other to grind coffee. This has two distinct advantages over a blade grinder, which operates like a blender. A burr grinder offers a more consistent grind, which allows for consistent extraction. Not all flavors in coffee are desirable, so a uniform grind is the only way to ensure that you only extract the flavors you want with a set extraction time. The second advantage burr grinders offer is that they do not heat up the beans. Beans are roasted for a specific flavor profile, and any additional heat can change these flavors significantly. An electric grinder has the obvious advantages of not requiring any manpower to operate and being faster. This can be important to people who do not have the physical ability to operate a manual grinder or are in a rush in the mornings. Electric grinders tend to be used by coffee shops, as they are much more efficient in grinding large batches of coffee as well.A manual grinder, on the other hand, has some advantages you may not have considered. They are much quieter than electric grinders. Since people usually drink coffee in the morning, this may be an important consideration for you. Manual grinders also tend to be much more portable. If you are planning on using your grinder on a camping trip, a manual option may be advisable. Looks amazing. It’s a real conversation piece! It’s faster than most hand grinders out there. As a true burr grinder, it’s very consistent in its output. The grinder was funded on crowdfunding website Indiegogo, which speaks to the prominence of third wave coffee and the ROK brand. 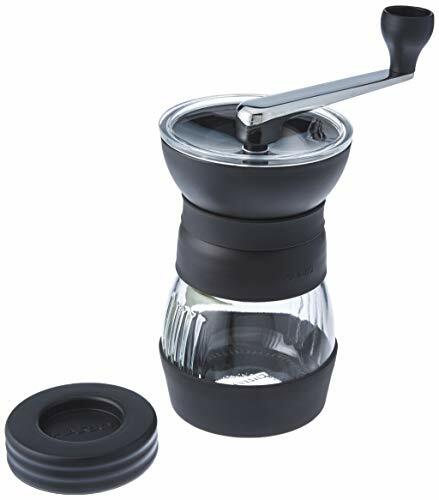 Like its sibling, the manual espresso maker from the same company, the ROK Coffee Grinder is well-constructed from aluminum and offers a large crank that can be adjusted for left-handed users. The burrs are stainless steel, which can generate some heat while grinding, but ROK has recently offered ceramic replacements for those who prefer ceramic. Overall, it is a sturdy grinder that should last a long time. This burr grinder is a simple machine with one function: to grind coffee beans well. It operates based on a large crank on the side, which turns easily. The grinding chamber is open and fills with beans easily. Other than its grinding function, a metal wheel at the bottom of the grinder allows users to easily adjust the coarseness of their grind. The grind of this grinder is excellent as compared to other manual grinders. According to the manufacturers, the majority of the coffee grinders remain within 200-700 microns, which is quite precise for a hand-powered grinder. It is comparable to that of the Baratza Encore, which is considered one of the best entry-level burr grinders. The price is the obvious downside of this grinder as compared to the Hario Skerton or the Porlex Mini. This price is comparable to a refurbished entry-level electric burr grinder. Another downside is the static cling that is generated by the grinder, which can make pouring coffee out of the grinder somewhat difficult. Getting the beans into the grinder can also be somewhat awkward, as the entry into the grinder is somewhat small. This grinder has no real special features. It is a simple machine, and it is a workhorse. There’s a lot of good things to be said about the ROK Coffee Grinder. But maybe you’re not fully convinced that’s it’s the right grinder for you? To be completely honest, there are a lot of very interesting grinders at this price range. Here a few of our favorites. The Baratza Encore grinder is often lauded as the best entry-level burr grinder on the market. It has one obvious advantage over the ROK: It’s electric! That means that you will not have to worry about sweaty hands and exercise every time you want a cup of coffee. 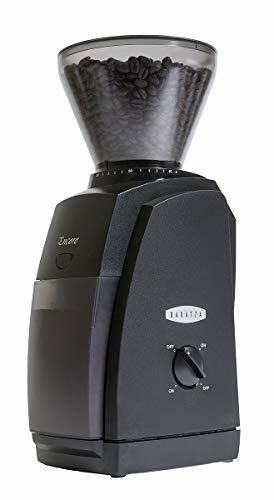 The Baratza Encore is also well known for grinding uniformly and being quite sturdy. Hario has recently updated their famour ‘Skerton’ model. And there’s no way of denying that this grinder is a very attractive little package. It’s small and chubby, but strangely cute at the same time. The Hario Skerton Pro delivers great usability and a good consistent grind consistency at a very competitive price. Plus, it’s also great for traveling. The ROK Coffee Grinder is a beautiful grinder both in aesthetics and function. It is a simple machine that offers an old-school feel while being a centerpiece of a kitchen countertop. It grinds coffee consistently and quietly without too many bells or whistles. Its main competitors are smaller and cheaper manual grinders that are less well-constructed and better suited for travel. This grinder is a serious investment and well worth keeping around for a decade or two, if only just to look at. Serious coffee snobs will appreciate the quality cup it produces with its consistently consistent grinds while their guests will appreciate its looks.